Seach for your medication by entering the drug name into the search box and pressing Go! Or use the A-Z search to list the medication alphabetically. TIP: When you complete your price quote, click the “Print to Order Form” button to print a copy of the order forms containing the medication information. 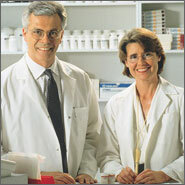 This will save you time from manually writing the medication information on the order forms.